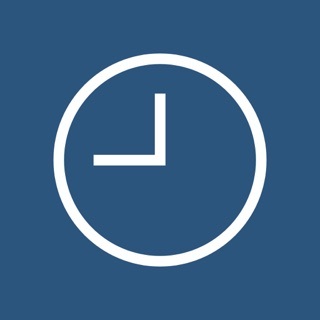 OfficeTime is an amazingly intuitive time tracker . Where other time keepers are clumsy or oversimplified, OfficeTime balances features and ease of use, allowing you to easily track exactly what you do each day. 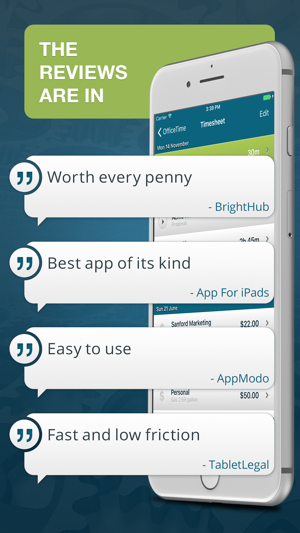 Effortlessly capture your hours and expenses. 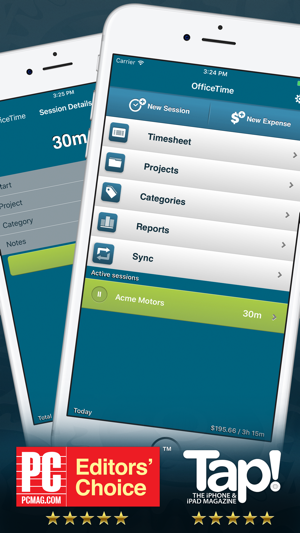 Easily track your projects and life. 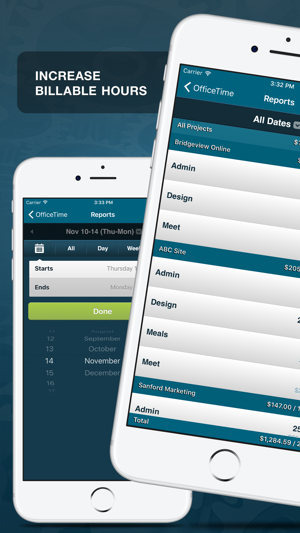 Designed for freelancers and small teams. 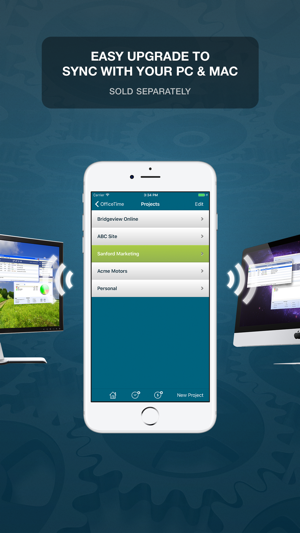 * Track your day from any app and the lock screen with OfficeTime in your Today view. * Track your life right on your Apple Watch! * Of course we have a 100% happiness guarantee. Contact support@officetime.net for a “any excuse” refund. 5 Stars – Editor's Choice"
"Essential iPad Apps for Business"
"One of the best iPhone productivity apps"
"For something as annoying as expense tracking, OfficeTime took a smart approach"
"Tracking just got simple, fast, and effective"
"Best iPhone Apps of the Week"
Here's a lovely, little update with some quality of life improvements to reporting and category choosing. The free version is just Ok, but the paid version has the better options. Managing 2-3 projects at a time is quite easy. Works really well for what I need.